I recently finished reading You Learn By Living by Eleanor Roosevelt. I worried I would run out of sticky notes as I was reading this book. It was jam-packed with wisdom that I felt was meant just for me, just for this time of my life. 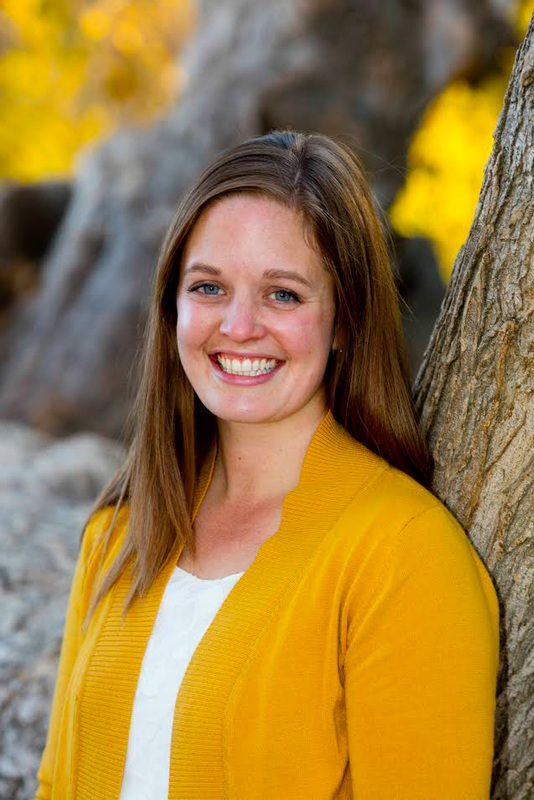 She wrote about everything from educating children to treating others with kindness to following our own path in life. "Do the things that interest you and do them with all your heart. Don't be concerned about whether people are watching you or criticizing you. The chances are that they aren't paying any attention to you." "The most unhappy people in the world are those who face the days without knowing what to do with their time. But if you have more projects that you have time for, you are not going to be an unhappy person. This is as much a question of having imagination and curiosity as it is of actually making plans. Things will come to you if you have the interest in the first place." "A mature person is one who does not think only in absolutes, who is able to be objective even when deeply stirred emotionally, who has learned that there is both good and bad in all people and in all things, and who walks humbly and deals charitably with the circumstances of life, knowing that in this world all of us need both love and charity." "It is a major part of maturity to accept not only your own shortcomings but those of people you love, and help them not to fail when you can." 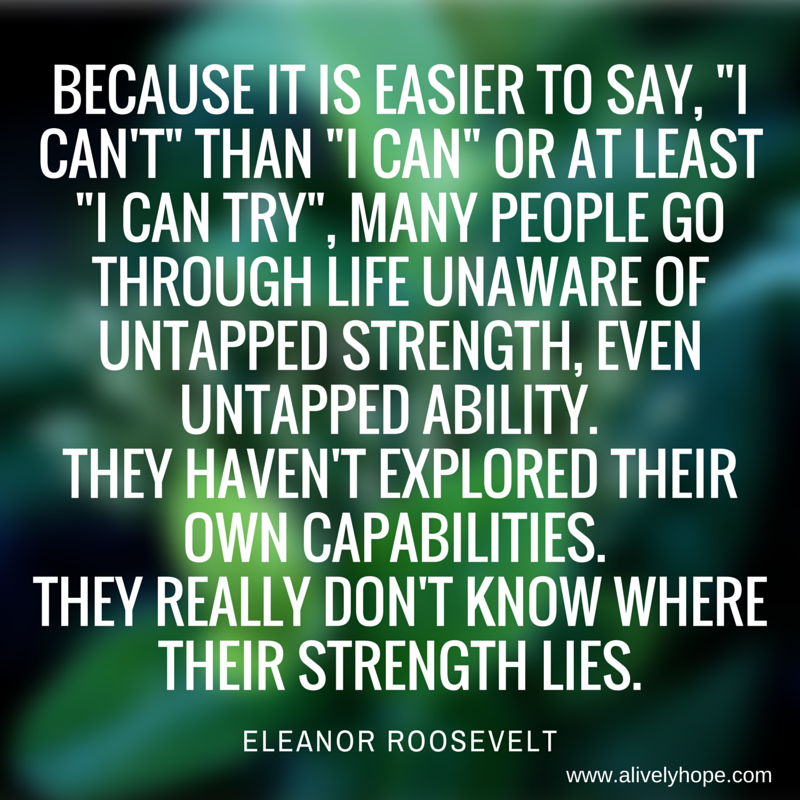 "Because it is easier to say, "I can't" than "I can" or at least "I can try," many people go through life unaware of untapped strength, even untapped ability. They haven't explored their own capabilities. They really don't know where their strength lies." "If you approach each new person you meet in a spirit of adventure you will find that you become increasingly interested in them and endlessly fascinated by the new channels of thought and experience and personality that you encounter. I do not mean simply the famous people of the world, but people from every walk and condition of life. You will find them a source of inexhaustible surprise because of the unexpected qualities and interests which you will unearth in your search for treasure. But the treasure is there if you will mine for it." This image of mining for treasure in each person with whom we come into contact is powerful. I certainly don't look at every single person I meet as an "inexhaustible surprise", but Mrs. Roosevelt is right. Every person has a story, every person has something to share if we care to take the time to listen and learn. These are just my selected favorite quotes, I marked many, many more pages. I finished the book in the way that I do so many new favorites, with a mixture of sadness at reading the last page and the feeling of being buoyed up with enthusiasm to let the words I've read change me. 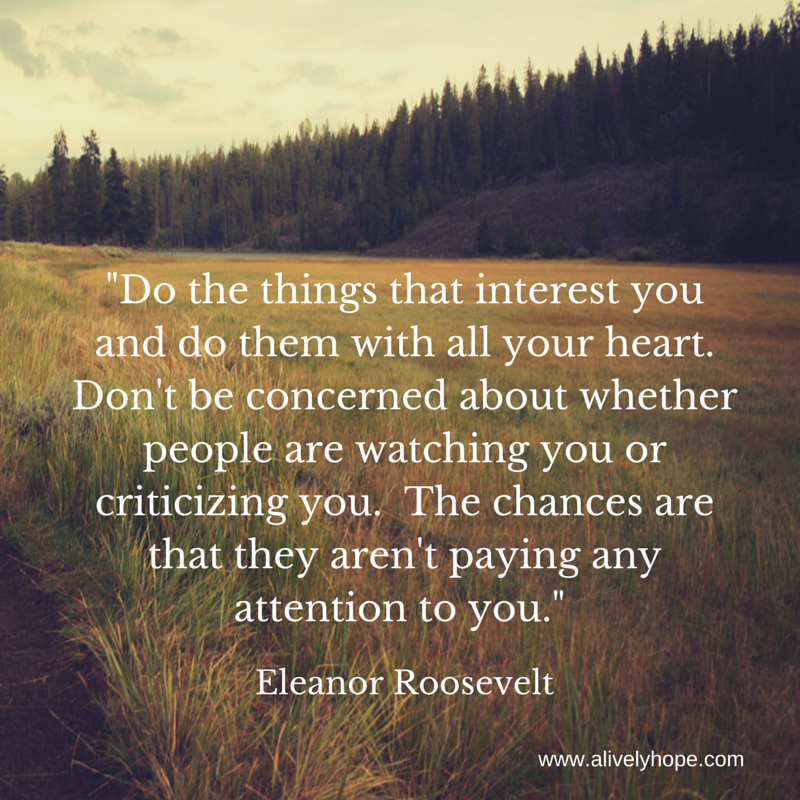 I am inspired to implement Eleanor Roosevelt's words into my life. What is the most inspiring book you've read lately?